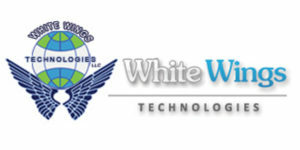 White Wings is a USA-based firm with its headquarters in New York City and over 250 employees globally. White Wings has been providing Businesses with IT solutions for over 15 years specially Money Transmitters, with their software platform that now includes online and mobile versions. Its client-list includes enterprise businesses as well as small- and medium-sized businesses. White Wings’ staff is committed to providing all of its clients with highly-professional services, from a network-design to implementation; from software project management to software implementation; from data-hosting to disaster recovery and cloud backup services. Its business goal is to provide a cost effective, speedy response and trustworthy relationship, establishing a long lasting relationship with all clients. White Wings can provide services to almost all type of businesses from law firms to financial institutions and nonprofit agencies. Whether your need is a one-time project or a full-time onsite engineer, annual maintenance services or project management on software or networking, White Wings has the resources to fulfill it. White Wings has over 185 clients located throughout the world, in North, Central, and South America and in Europe, Asia, and Africa. White Wings’ returning customer ratio is over 90%.